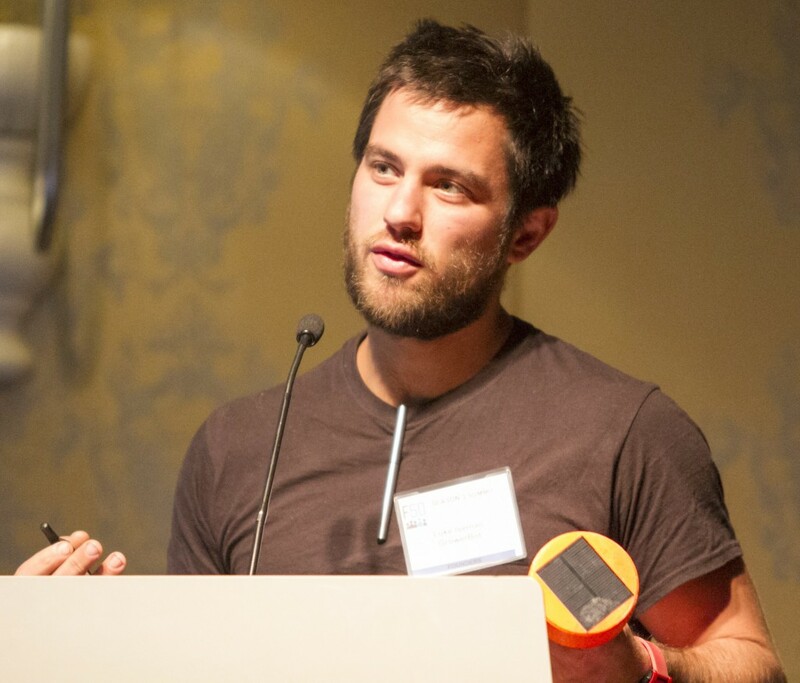 Welcome, Luke Iseman, hardware guy at yCombinator! Luke attended Wharton in the entrepreneur program. He did hardware on the side before turning it into a few businesses. After school and some volunteering, he ran a pedicab company in Austin, designing and making and renting out new pedicabs. The Garduino was a soil monitoring device. It became an early kickstarter project in the form of Growerbot. It was all open source. After that, he partnered up and started on soilIQ, which had industrial design by Yves Behar. Sam built and maintains a shipping container house in Oakland. Luke joined yCombinator back in August of 2015.
yCombinator just opened up their applications again. They will interview the most promising startups and the ones that are accepted will spend 3 months in silicon valley. yC now has almost triple digit hw companies, 900 total companies. The insane costs of hardware are evident with the Amazon fire 7″ tablet at $50. On the Growerbot, Luke optimized for 0.5W solar without checking how often he should really send data (a couple times per day was sufficient). The Startup podcast featured a company currently going through yCombinator, Dating Ring. There is another podcast being done about yC at KQED, as well as a range of shows about startup culture. Chaldal is a food delivery service in Bangladesh. Flirtey is a drone company in NZ thats already allowed to start doing public testing. There are online services that hope to make things as cheap in the US as in China (or cheaper!). On example is the machining company Plethora. The Teabot will be in restaurants and stores. A custom robot with a very high cost per square foot. Luke had a $10K budget to build out a mini lab for yC. Beyond the basics (3D printers, soldering gear, etc), they expect hardware companies will go to outside firms for manufacturing. Alternately, the companies can spend time at TechShop for bigger things. yC members like using Fictiv for 3D printed parts. Luke wants a materials library for all things tactile: switches, buttons, leather samples, vinyl, etc. Can you explain what you did to bootstrap? I thought that taking other peoples money to launch a product was the definition of antithesis of bootstrapping. I also don’t understand what it means to ‘hack’ something as oppose to actual designing something. Is it just a buzz word or is it actually a different process than designing, modifying, etc. ? When you say hardware design is easy, do you mean that designing with an arduino is easy? Maybe this “hacking” hardware, as you call it, is easy. I wish Dave would have taken part in this episode. Chris, you are a very nice guy. Thank you for taking time to interview people and share it with us. Besides the traditional meaning of reverse engineering, seeing what makes things tick, hacking, I’ve noticed, people in the hardware world use it a lot with the meaning of putting something together fast, without putting too much effort or thought into it, in order to just get things done. As a funny example, taping a camera to a GPS shield and calling it a “modern” cellphone comes to mind 😀 Come to think about it, hacking things together is a true oxymoron, if I’ve ever heard one. hacking IMO is Reverse engineering, also called back engineering, – how it works. now you know! but 100% original engineering is near impossible now-days LOL, unless you un-lock anti gravity or time travel technology. as most original engineering is a mix of other peoples work so hacking ideas is part of product development?*. but Your End product, most be original as defined by law. even if it has other parts in it. for the home hobbyist this is not a problem, as your Not selling product for $. manufacturing is hard-work. or go live in China. Any other details? What are you trying? Clicking the download link above? I’ve tried diffrent things. Clicking the link above, clicking the link at the main page, tried other episodes, tried android and win7. Always the same problem. It starts playing the Amphour in a web player but not downloading it. Ah ha! In a browser, right click and the “save as”. You’re correct, it will bounce you to the file on the libsyn server and then start playing it in most browsers. You’ll have to save it manually. On mobile, I believe a “long press” will give you the option to save. For an easier time (especially on mobile), we usually recommend a podcast player app. I use BeyondPod which works pretty well. You subscribe to a variety of feeds and then it auto downloads them each time a new one is posted. I use podcast addict on my mobile phone, sometimes they are updating quite slowly. At the 1h3m48s mark, Luke mentions an (organization?) that sounds like ‘Sponsor Toys’, is that right? The context was someone was gong to bo-chong bay (sic).. In addition to the Plethora.io, Fictiv, 3dhubs, makexyz, etc, looks like Dangerous Prototypes is also getting into the business!